The day started off with some presentations from: Wheelers Lane Primary School, Paganel Primary School’s Year 6 and 2. Wheelers Lane were talking about their favourite authors, books and what libraries will be in the future. They were also talking about how books help you to learn and how to be educated. We were talking about our Paganel Archives Project. Nicole, Maddison, Chloe K and Chloe S did a presentation about Bridget Mendler and they also did a dance called ‘Ready Or Not.’ We watched a video by a girl who had been shot in the head. Her name was Malala. She opened the Birmingham Library and she was talking about her school in Pakistan. 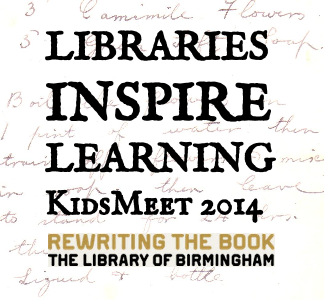 Wheelers Lane mentioned authors like: J.K Rowling, Roald Dahl, Francessca Simon and much more. 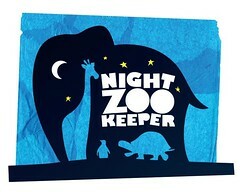 Year 2 presented and talked about their project about the Night Zookeeper. As we came out of the theatre I saw a man listening to some music on his Ipod while he was reading a history book and he was dancing. Because he was dancing, it made me chuckle ( laugh ). We also saw an Army man just sitting in his seat doing nothing at all it was strange/weird hilarious. The last thing was the gifts, Wheelers Lane, year 6 and year 2 from Paganel got a prize of HEROES chocolates. Holly and Lourdes handed them out while they was standing in the spotlight. Some children from Wheelers Lane got a prize too. They were relieved. Nicole and her dance group won special prizes too, Lourdes and Holly got a box of chocolates each. I was so jealous!